I love a soft pretzel, but I'm not too crazy about all the chunks of salt on top. 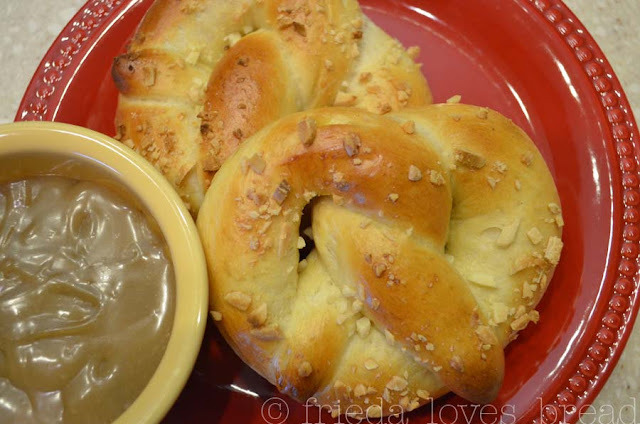 Top a soft, pillowy, yet chewy pretzel with toasted almonds and dip it in Easy Caramel Sauce, and you've got my attention. These pretzels are very similar to the ones at Pretzelmaker in the mall. The basic pretzel dough is simple: water, butter, flour, yeast and a touch of brown sugar and salt. 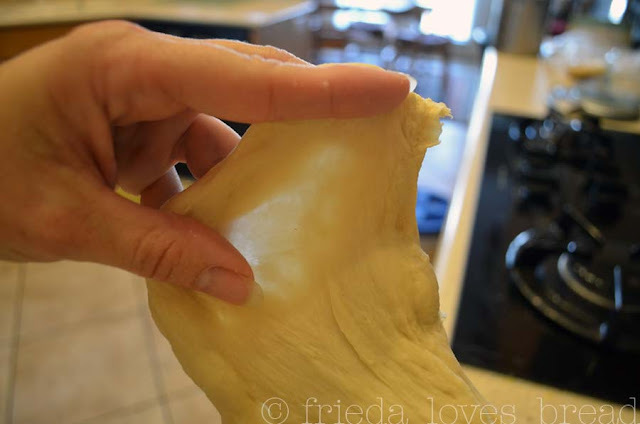 Vital wheat gluten is added to strengthen the dough and give it a chewy crust. After the dough has risen to double, it is divided into 8 pieces for regular sized pretzels, or into 16 mini-pretzels. I chose to make mini-pretzels. 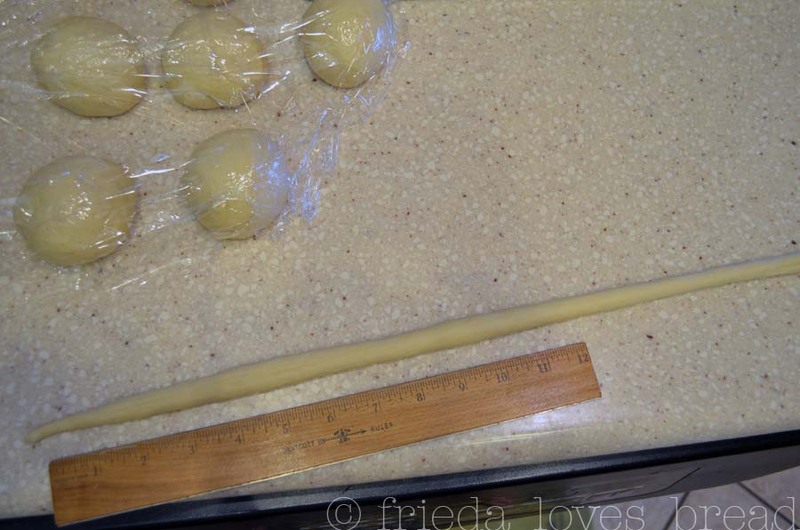 Roll each ball of dough into a 15"-24" rope. 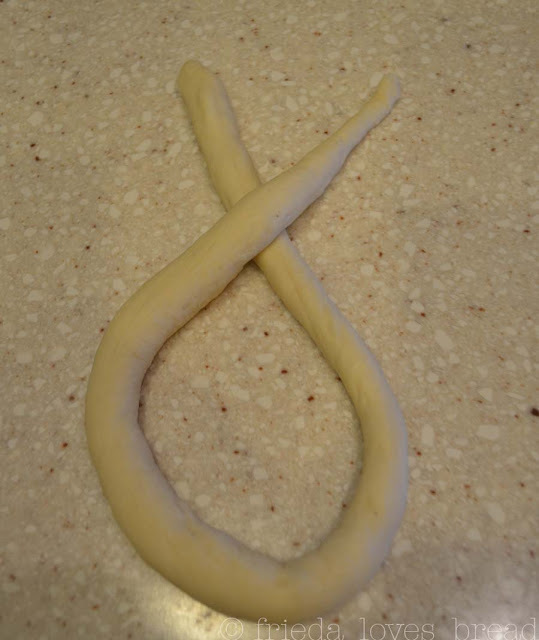 twist and fold over, pressing the ends into the bottom of the "U." 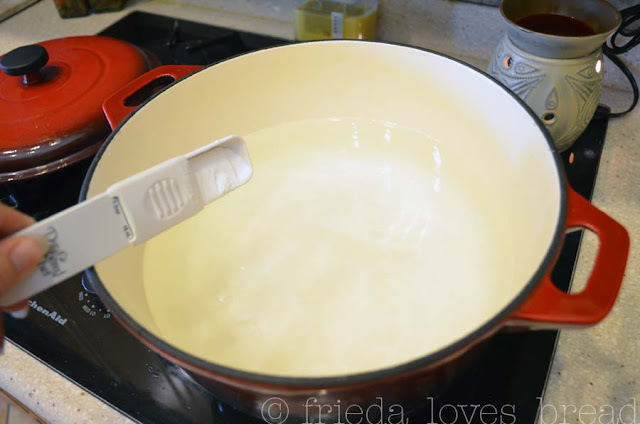 Preheat your oven, and bring large pot of water, mixed with 1 T. of baking soda, to a rolling boil. You do NOT need to let the pretzels rise again. How cool is that? 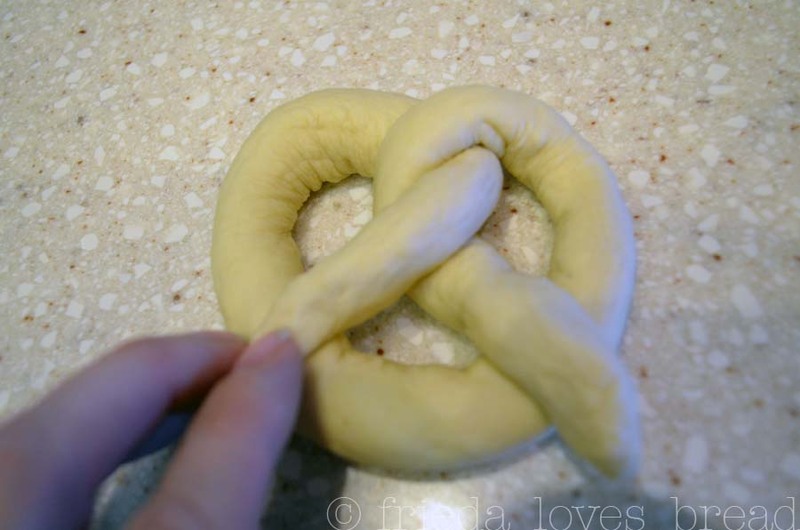 Just put the pretzel in the boiling soda water for 30 seconds...no need to flip it over. 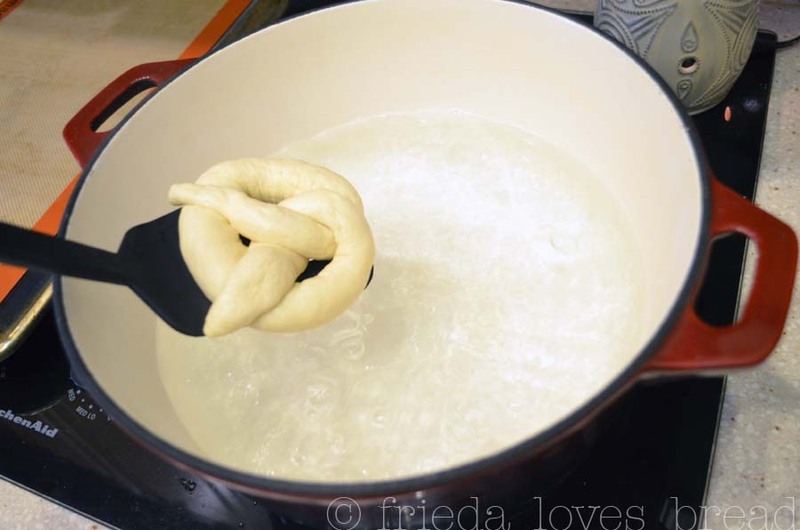 You can cook 2-3 pretzels at a time, being careful not to overcrowd the pan. 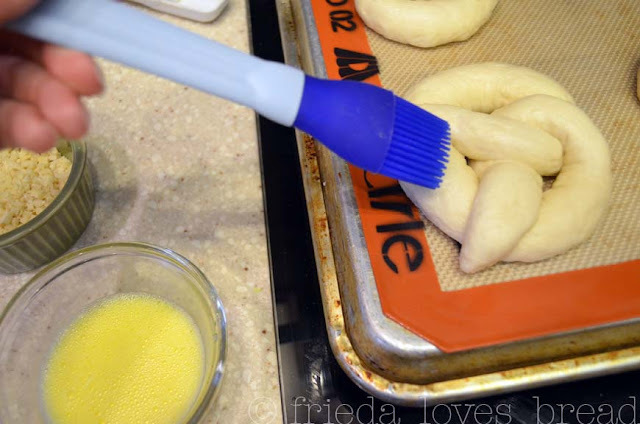 Put the boiled pretzel on a Silpat or lightly oiled parchment paper. Brush on a mixture of eggwash and brown sugar. I chopped some slivered almonds and discovered that they adhere to the pretzel if they are chopped finely....not to fine, though. You don't want almond dust! I toasted the almonds in a non-stick skillet they they were a light golden brown. 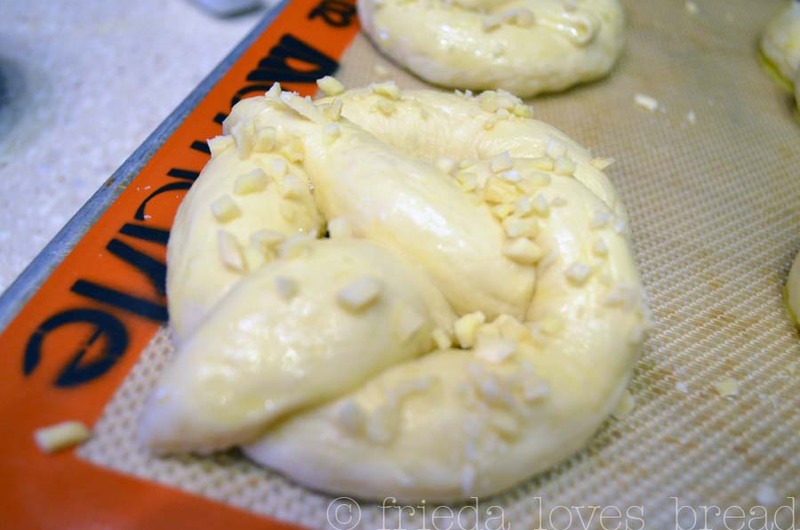 Dip the coated pretzel in the toasted almonds. 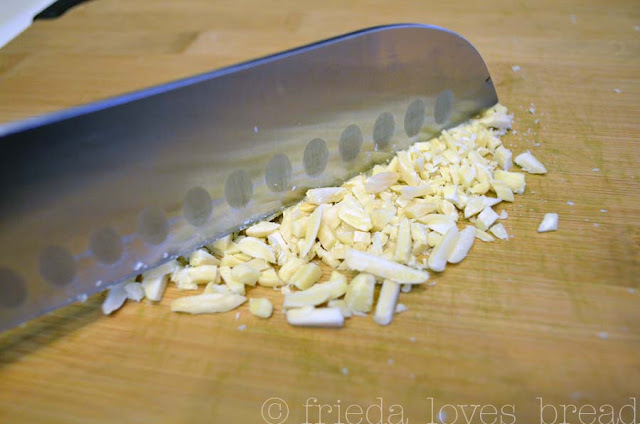 After some feedback from a wonderful neighbor, we decided that it was better to chop the almonds a little more finely than this and dip them in the chopped almonds instead of "sprinkling" them on. This method gave us more almonds and more "crunch." 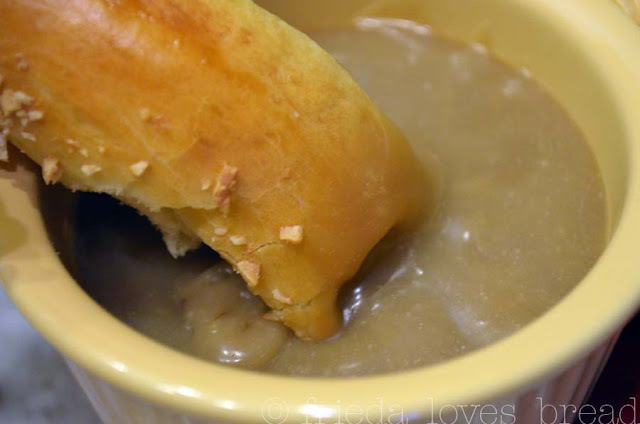 It was unanimous that the caramel sauce was the best part. Do not leave it out! These look delicious - It's a nice change of pace...although I have to confess, I do enjoy the salt on them! This recipe looks wonderful. Congrats on your teaching job over at South Fork Hardware. Si e-mailed me and I think it sounds like a great line up.